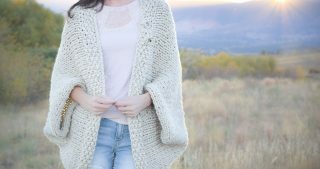 How about a cozy, comfy fall wrap?! If you follow my blog, you know that I’m not one to typically go for bold color tones. However, this deep burgundy red struck a chord with me for autumn. It was such a pleasure to finally see some color in my mix! 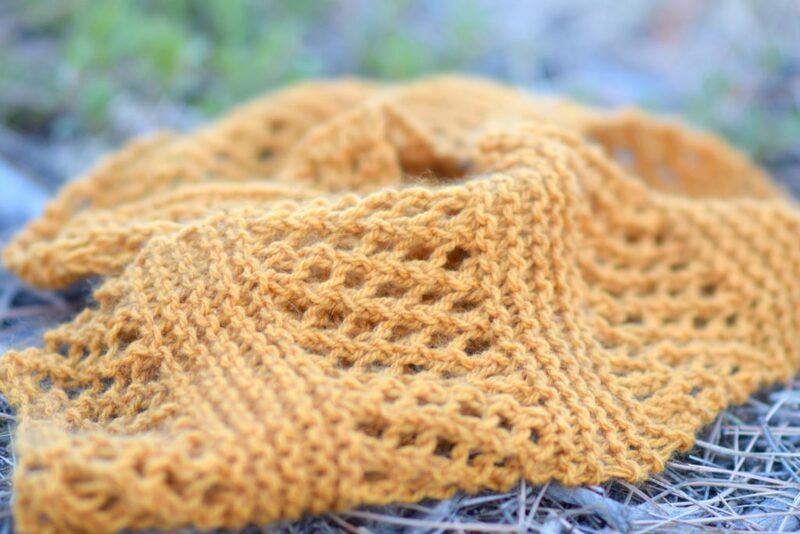 After sharing the Honeycombs Knit Scarf pattern, many of you reached out to ask me for a larger shawl version. There were even several of you that came up with your own shawl version of that scarf which was awesome to see! 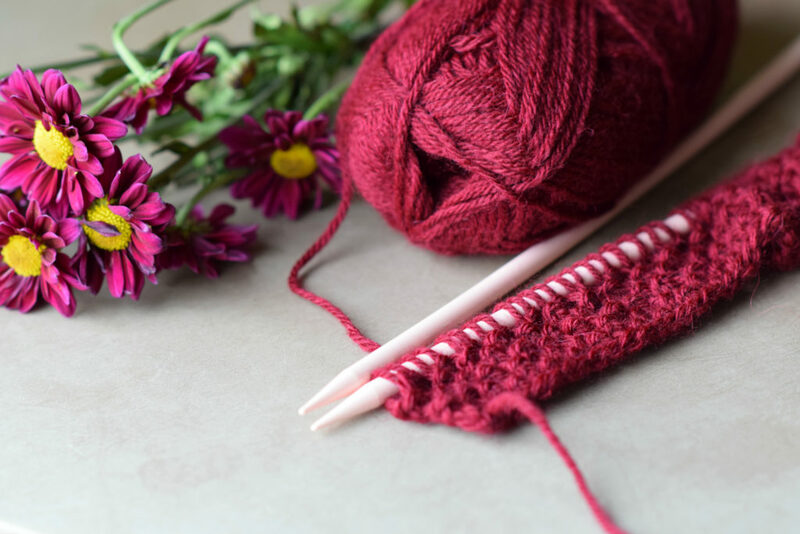 This Merlot Knit Wrap is inspired by that scarf but includes some different stitch patterns that are simple but striking. You’ll get to make mesh, eyelets, seed stitch and garter stitch. 🙂 This pattern was created for Lion Brand Yarn’s 12 Weeks of Christmas kits (more about that later) and is currently 20% off as they just released the kit (here)! And as usual, you can also scroll down for the free pattern, or you can find the ad-free, printable version available for purchase in my Etsy shop here. 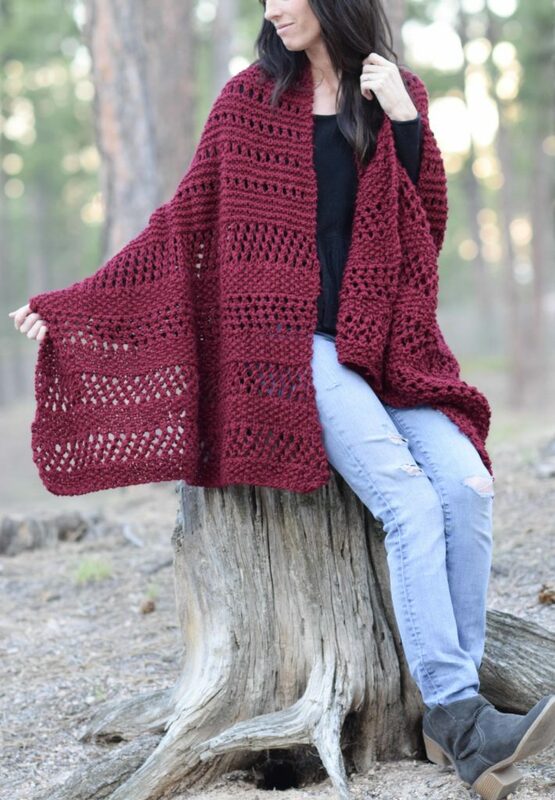 As you’ll see in the photos, this is a generous sized shawl that will keep you cozy and in style. The big blanket scarfs are still very “in” and this has the look of those blanket shawls, but is light and comfortable to wear. 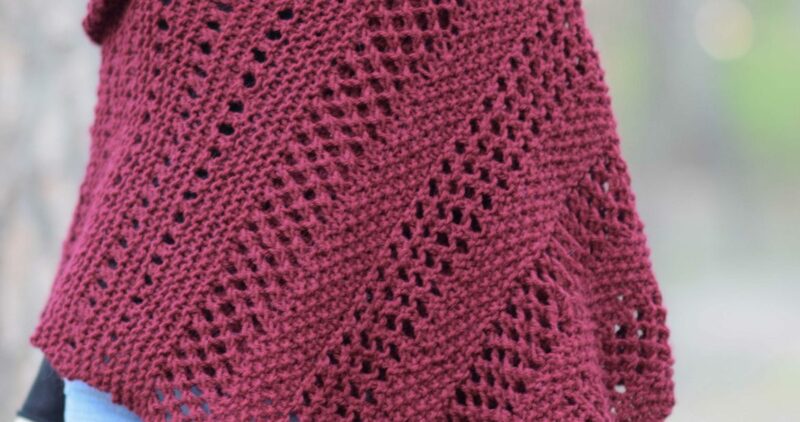 When you knit this shawl, you’ll be working a simple mesh pattern, seed stitch and eyelets throughout the center with garter stitch. 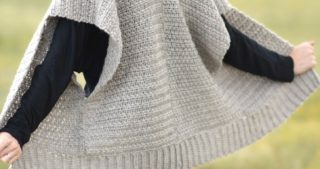 They are all easy stitches, but it creates a very eye catching texture, don’t you think? And as I mentioned earlier, this is part of the 12 Weeks of Christmas series of kits from Lion Brand Yarn. They have made it available in 4 different, gorgeous bold colors. I was thrilled to have a project included and loved getting to see the other projects from various designers and bloggers just this morning. 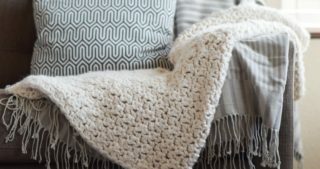 There’s a knit blanket that I’d love to make by All About Ami in the mix and so many others! All these projects to make and so little time, right? So shall we get started on this wrap? Oh! 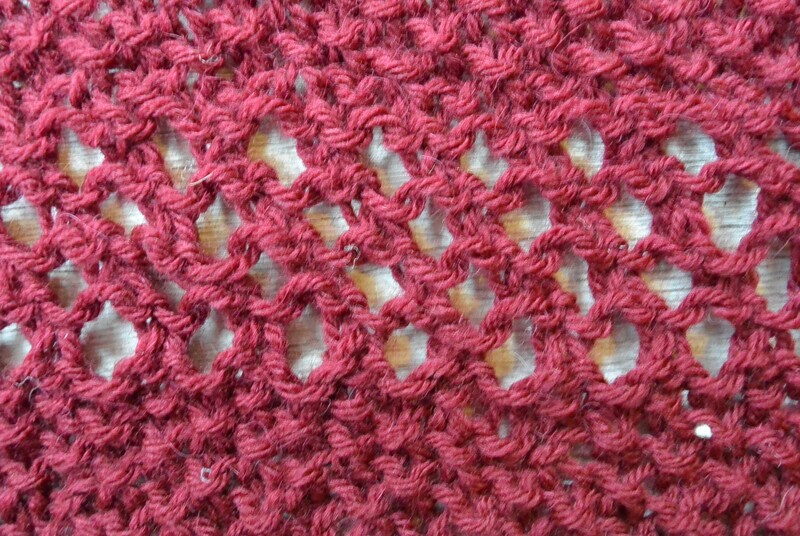 It’s called the “Merlot Wrap” as the mesh reminds me a bit of the Merlot grape vines in the Bordeaux region of France. The color is also similar to a gorgeous deep coloring of merlot wine. I hope you enjoy it! A stunning wrap featuring various simple mesh stitch patterns that can be used as a shawl or an oversized scarf. 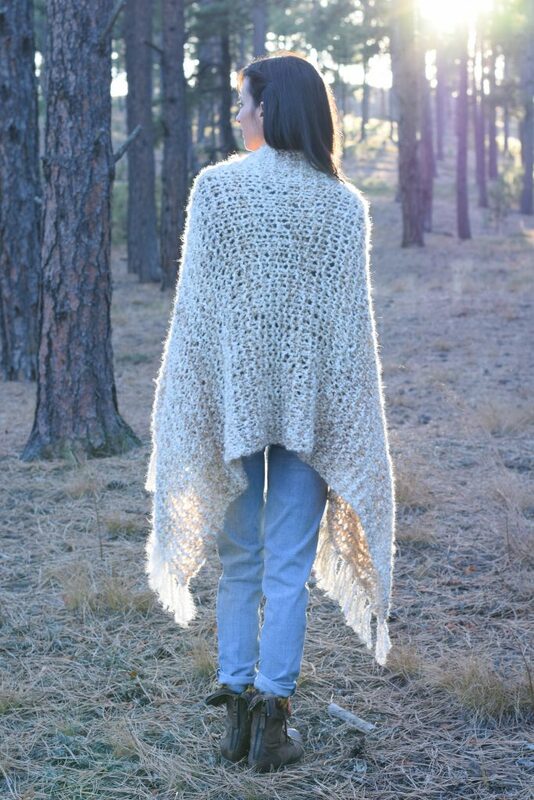 The alpaca blend yarn makes it cozy and soft yet light and easy to wear. Dress it up or down by pairing with a dress or your favorite casual jeans. 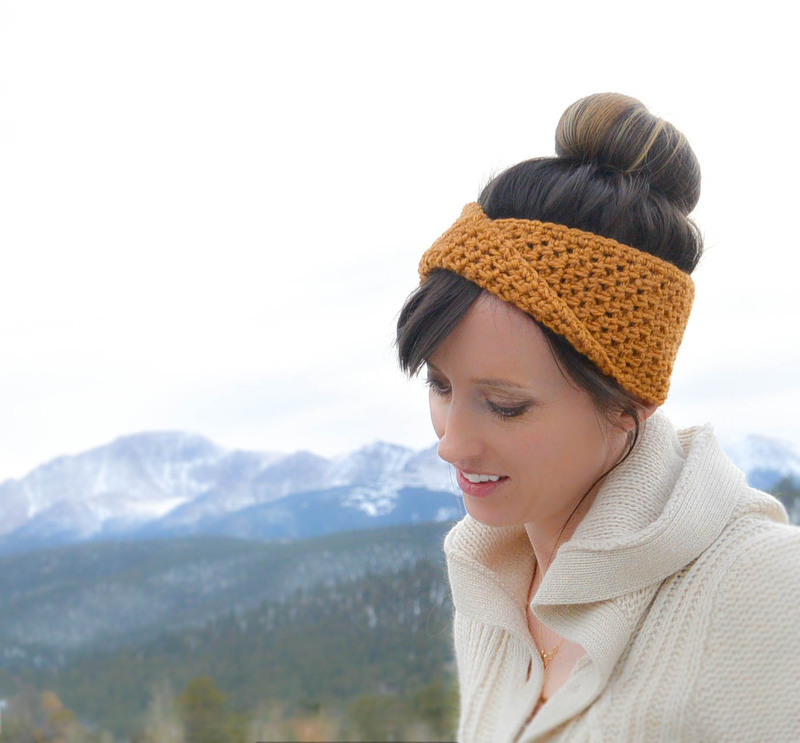 A truly versatile, show stopping piece that’s a pleasure to knit. 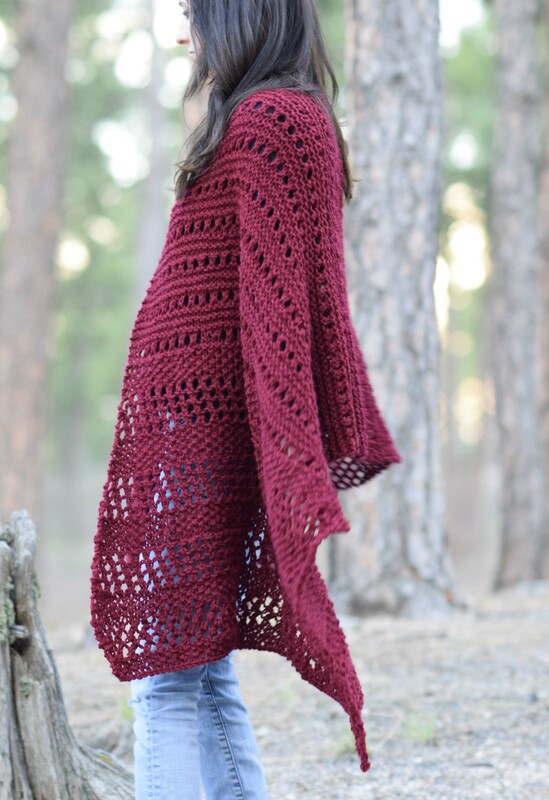 This wrap is knit flat and uses simple stitches to create various mesh patterns. The seed stitch and garter stitch are also featured. Stitch count remains the same throughout pattern. 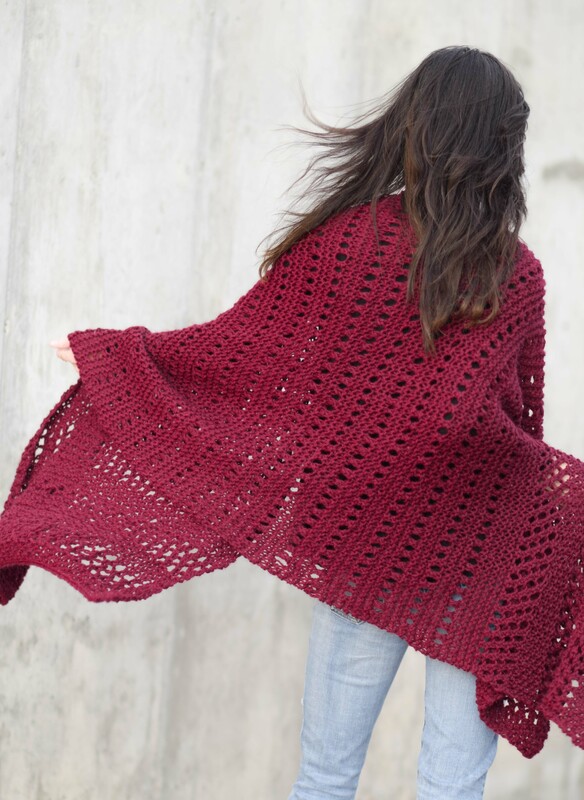 The pattern is broken into sections to help clarify the different stitch repeats in the shawl. You will note that there are open mesh sections featured on both ends and a more subtle mesh throughout the middle. Wrap stretches downward when worn which make it appear larger as it has a lovely drape. 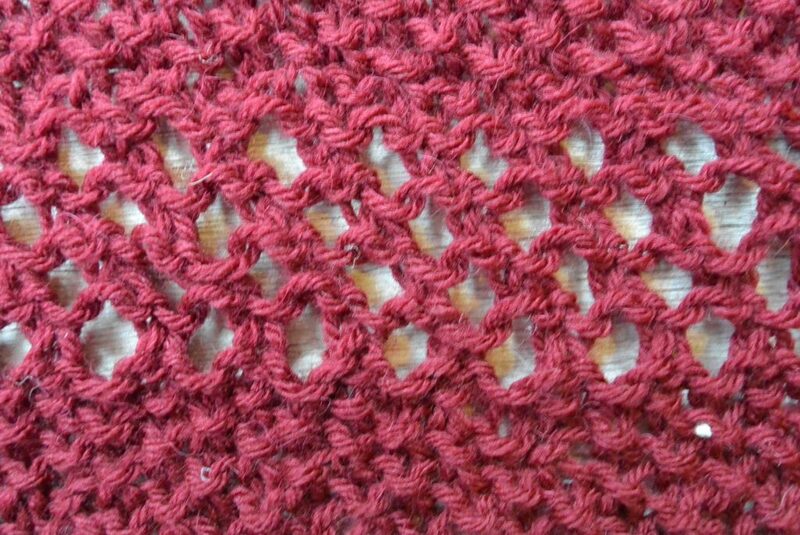 Width may be adjusted by casting on more or fewer stitches with an odd stitch count while keeping a multiple of 3 (keep yarn needs in mind). Row 7 K3, *yo, k2tog; repeat from * to last 2 stitches; k2. Knit cast off and weave in ends. Block to shape and size as desired. 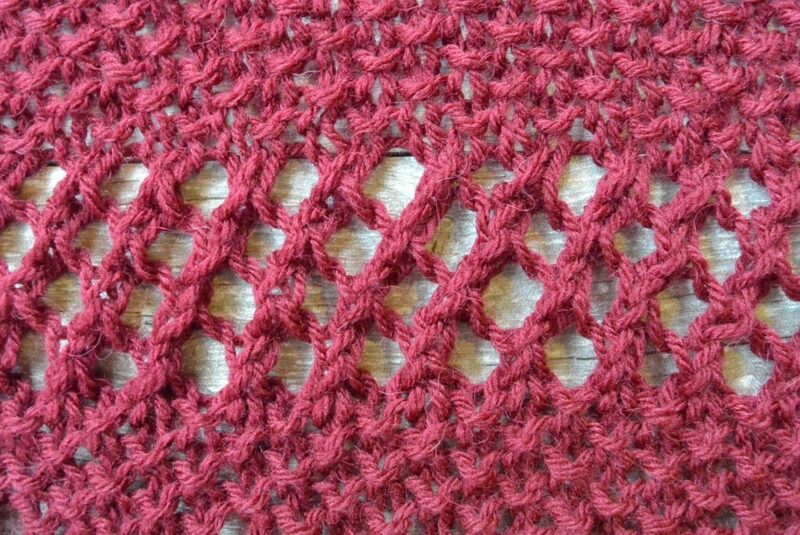 If you miscount your rows or want to double check your knitting, you can help to ensure a consistent look by beginning each First Edge Mesh repeat on the Right Side. Below you can see photos of the Right Side and Wrong Side. I hope you enjoyed this pattern my friends. It’s so cuddly and makes me so excited for fall and winter days. Absolutely gorgeous! Color is so awesome. Thanks for sharing another great creation. I love the stripes of mesh. So simple, but not boring. The color is very beautiful for fall. 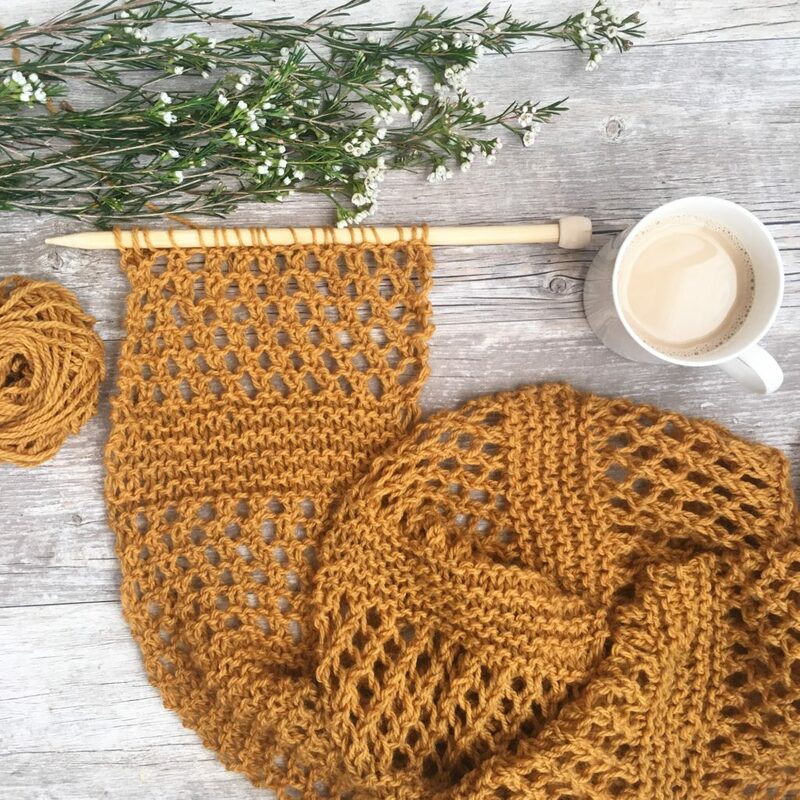 Thank you so much for one more gorgeous pattern. salut Jessica comment vas tu je suis toujours fan de ton travail et de toutes les explications données elles sont claires et bien expliquées. je te souhaite une très belles journée. Very interesting. Gorgeous combination of stitches. The merlot (chianti?) color is just right for the grape harvest and winemaking season. But I’d wear this color all autumn and winter, too. I love rich colors like this. I wonder if the knit stripes and mesh design could also be used to make a shrug or kimona? LOVE this pattern and color, Jessica. To be honest, I’d love to see more of your work in bright colors. So pretty. Thanks so much Wendy for the encouragement as always!! This is so beautiful! Looking forward to Fall and feeling cozy. I just ordered the kit and I am so excited! It’s gorgeous! 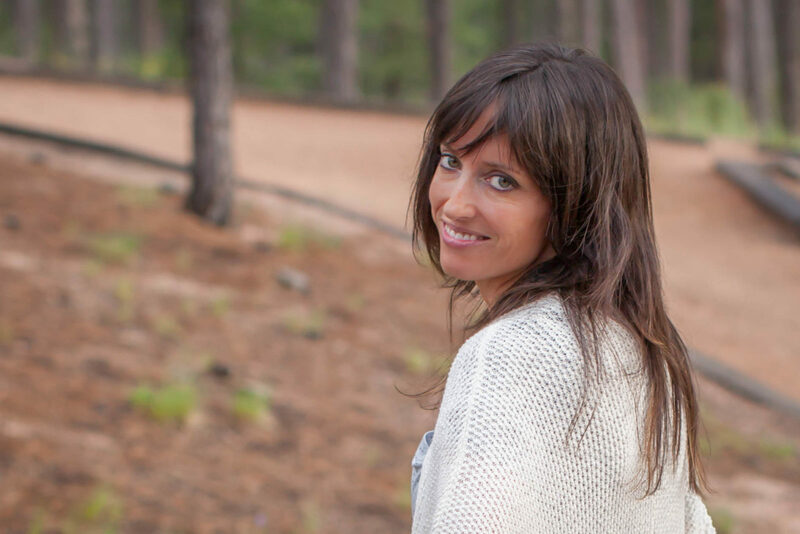 Let me know if you have questions Rachel and enjoy!